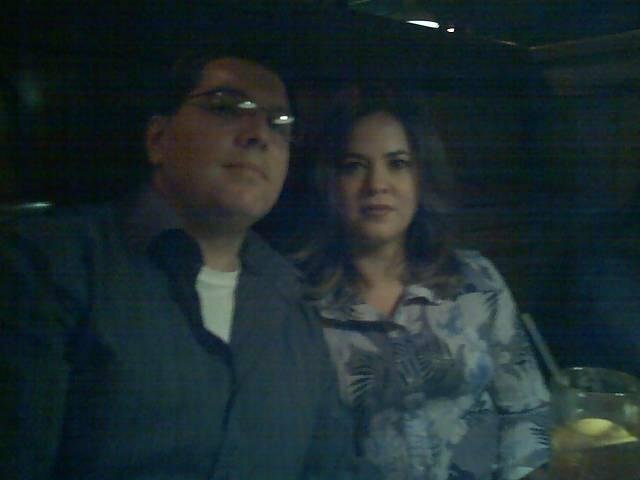 Today is our 14th wedding anniversary. I would say it’s hard to believe that we’ve been married that long, but if you figure in that we’ve been together off and on since 1986 it’s about right..lol. We don’t really have anything planned except maybe getting something to eat tonight. Which is fine by me….at least I don’t have to cook..YIPEE!!! Today would be perfect except for the fact that my nephew is signing himself over to Uncle Sam today. I have mixed feelings, because I feel the experience will enrich his life but at the same time I will fear for it. It is something he really wants and considering his mom was is in the Army and his Dad retired from the Army I should have expected it. Well, at least I won’t have to worry about it until he graduates or is it I’ll have til he graduates to worry about it. Well, enough about that… we can’t keep kids from growing up and it’s my anniversary I’m off to enjoy my night with my hubby! …and don’t you look so happy in that photo! I swear I thought your anniversary was the first week in July. Happy Anniversary! I can still see myself reading aLL THEM LOVE LETTERS YAW WERE CRASY TO PASS TO ME TO i LOVE BEING YAWS GO BETWEEN IN SCHOOL.